I literally signed on to my computer just to comment on this. X4 on the go on the Switch! Getting this day 1 on PS4. FINALLY! Nintendo Gets some MMX Love. Hopefully it'll be a collection. Nintendo Players Need to play the Playstation X titles. Now let's see the Nintendoites get Legacy Collection 1 and 2. I love Nintendo, (and obviously Mega Man) have both legacy collections on ps4 and yes, I will be getting them both on switch. I'm so glad Capcom finally wised up and will support Nintendo's latest console. And I've been dreaming of a new X collection, dream come true. Don't care much for collections but at least they're not splitting it up in 2... Also I gotta say, the X1 circle jerk that happened during the live stream was disturbing. It's a great game, but jeez. They need to do SOMETHING about X7. It will not be good to release that separate, if thats the route they take. I'd buy it over X8 & no, I'm not joking. Yes please! I am still disappointed by how they are always picky with games though, the portable titles tend to be forgotten by collections despite being like 52kb all together. Of course, my two questions are whether the SNES titles are emulated or ported, and what they'll do with X3's two soundtracks/SFX. And I guess the few regional differences in the PS1 games' soundtracks. I just don't want the X3 PS1 audio as the only option. It's good and all, but just every now and then. Can anyone fill me in on the tech details of Legacy Collection 2? I've read some details on MM7 being a port, but only on some Steam thread. I'm also curious if they will try to improve anything in X7, so it's at least not AS broken. Maybe a "Fun Gameplay" mode where all Reploids are already rescued. Or in sane spots. But I'm actually somewhat excited. Even if the SNES games are emulation, (blech) most of this release will be ports. Nice. 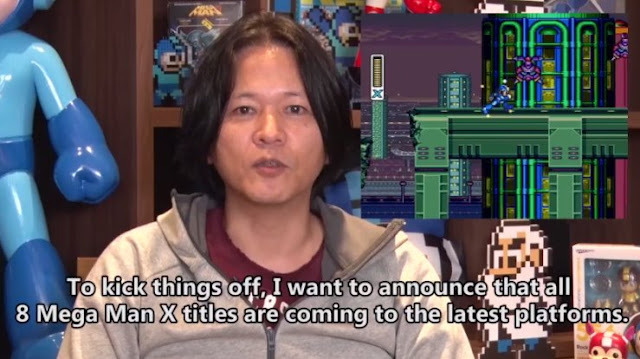 I hope they actually use that bonus content that was pulled from X Collection at the last minute for use in future Maverick Hunter X games that never happened. I don't think I've heard of that or I've forgotten, what was the bonus content? Wow, I've never seen this before. Thanks for the link! How disappointing. I'd really like to see that stuff added back to this collection. It's a shame there's so much potential that they just never go after or blatantly screw up on like this. I would keep my hopes down. It was confirmed mant years ago most, if not all of that was never completed. Honest question who would even BUY X7 at this point? Peoples not familiar with the X serie, or not familiar with the post x-5 (or 6) x serie, and peoples not familiar with Mega man who might be interested in binge playing the serie. Or people who have heard of X7 bad reputation, but want to try it to see for themselves if this is justified. it's important to see for themselves. Guess i'll finally play X7 and 8 when they come up on the switch. My brother have never played Megaman games, but he have a Nintendo switch. i'll probably offer him, that will make for a good occasion to discover the games.